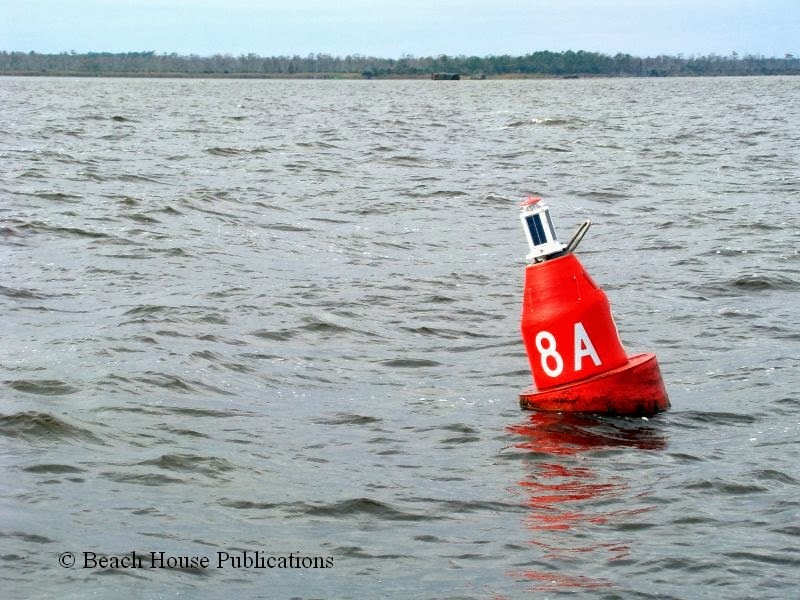 The Albemarle Sound is famous for being a body of water to be respected. 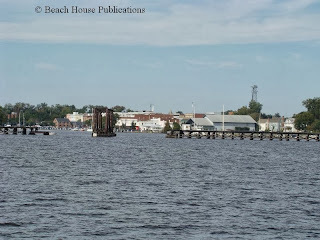 After a great visit to Edenton, NC, we headed out on the Albemarle toward the Alligator River. The weather forecast was for northeast 5 to 10 and that would put the wind and seas right on our nose. To give it some perspective, if the winds were only at 10 knots and we travel at about 8 knots, the apparent wind on our bow will be 18 knots - the actual wind speed and our boat speed combined. The Albemarle can be very uncomfortable even in moderate conditions, and of course, we are well aware that the weather service seldom gets the forecast right. Our practice is to add 5 knots to their forecast for winds and 1-2 feet to the forecast sea conditions. Most of the time, this winds up being pretty close to the conditions we find. Heading east, the winds began building and soon we were experiencing 20 to 22 knots apparent. Needless to say, the steep seas, spaced closely together, were slowing our progress somewhat as water came over the bow and splashed on the windows of the lower helm. Maybe we should have turned back, but these were the best conditions we were going to get for days, so we pressed on. Wind and seas on the bow are one thing with Beach House, but wind and seas on the beam are another; our very least favorite conditions. Our riding sail certainly helped. As we made the turn into the northern entrance to the Alligator River, that's exactly what we had. Fortunately it only lasted for a short time. As we approached the first green marking the channel, we found the waters once again mined with floats from crab traps. We had found these floats out in the middle of the Albemarle on our way down the sound as well. The channel here at the northern entrance has been a issue for years. All of the charts show a winding channel with the famous magenta line indicating you where you need to be. Boaters following the magenta line found themselves in shallow water and hard aground. This has been the case even though the channel has been remarked for a long time and simply following the channel markers keeps you in plenty of water. The least depths we saw were 9.5 feet in one spot and 11 to 12 feet through most of the channel. Once heading down the Alligator, the seas settled down since the fetch is not as long as on the open sound and were on the stern. The trip through the swing bridge and down the river went well for the rest of the afternoon. 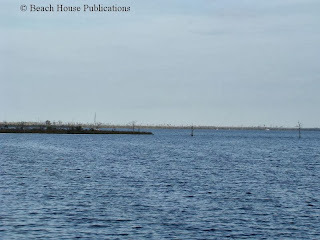 At the southern end of the Alligator River, and just before entering the Alligator-Pungo Canal, is a favorite anchorage of ours, Tuckahoe Point. Leaving the ICW channel and heading into the anchorage, we found a sailboat that we had met in the Bahamas and had recently shared the dock with them in Oriental on the way north. We got a big wave as we went by and a shout on the VHF. 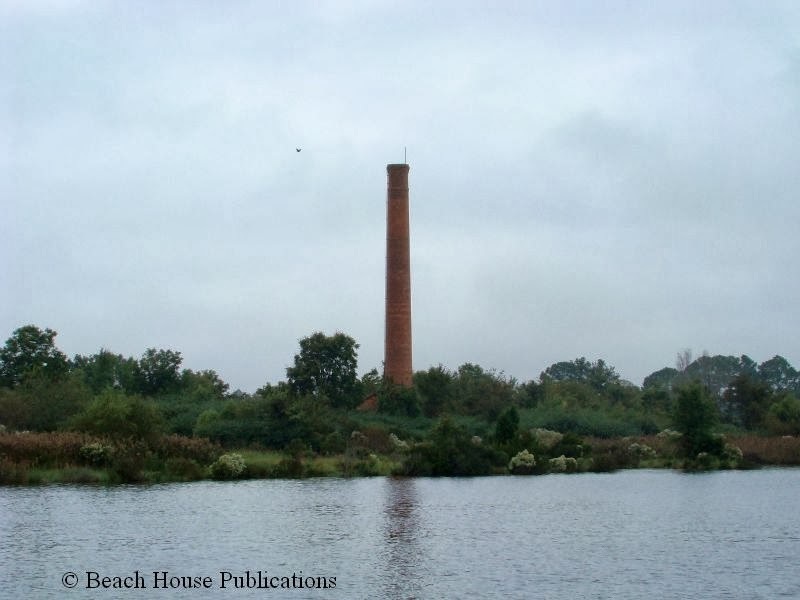 Tuckahoe Point always reminds us of what it might be like to anchor here in a prehistoric time. We're not sure why, it just gives us that feeling. It's very remote and stark. It isn't a bad thing, as I said, this is a favorite stop. 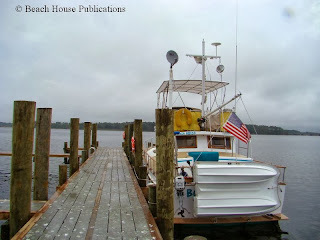 The anchorage holds depths of 7 to 9 feet throughout and you can get quite far off the ICW channel. It can get lumpy in heavy easterly winds. This night it would be comfortable and we shared the spot with about a half dozen boats. Our next destination would be Belhaven, some 35 miles farther down the waterway. The next morning broke with rain so we slept in and waited for a few hours for it to clear. All of the other boats had left except our friends and we both pulled up the anchor at the same time. There had been a lot of logs and debris in the river so they waited for us to go first into the Alligator-Pungo Canal because we had a better view of things in the water from our flybridge than they did from the cockpit of their sailboat. There was a lot of stuff to dodge as we transited the narrow canal. At the other end, our friends peeled off into another anchorage and we continued on to Belhaven. There have been some changes in the free dock situation since we came through in the spring did a report on Belhaven so we wanted to check things out. The rain gave us a break for most of the day, but don't you know, as we turned into the harbor in Belhaven and prepared to dock, the skies opened once again. This was deja vu all over again from our transit through here heading north. The town of Belhaven changed their mind and decided to charge for dockage at the new dock in the downtown area. The second dock, which wasn't open on our last visit, is still free but a little out of town in an area called the Cooperage. It is well marked by an old brick smoke stack, the only sign of the old Cooperage. As we approached the dock, the rain was coming down pretty hard. Since we hadn't been at this dock before, we came in slow, concerned with the depths. There was plenty of water with over 8 feet on approach and 7 feet along the dock. We were in for a surprise and disappointment as Beach House pulled alongside. 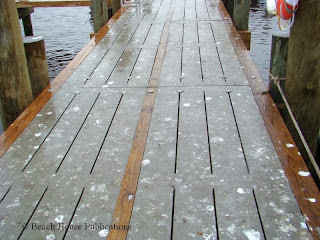 The dock was wet from the rain, but even worse, the dock and all of the pilings were covered in bird droppings. It made tying up and walking on the dock a very unpleasant experience. This was very sad, since this is a very nice dock and the city obviously spent a lot of money building it. There is no cleaning or maintenance going on and it makes the city's attempt to have a nice place for cruisers to stop a lost opportunity. 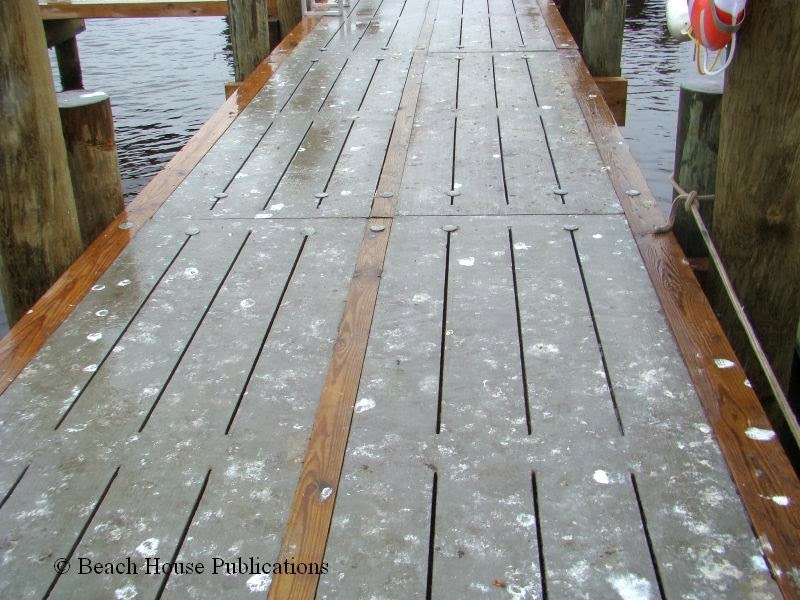 The rain finally stopped and we used our anchor wash-down hose to wash some of the bird droppings off the dock where we would have to get off the boat. The smell was pretty bad, too, and we considered moving out into the anchorage, but in the end decided to stay. We did decide that it would only be for one night, rather than the couple of days we originally planned. The dock is pretty remote - the walk into town is about a half mile. It sits off a field next to a grainery and there is no lighting anywhere at night, on the docks or even at the grainery. There is also no power or water on these docks. It could be unsettling for someone that might be nervous about personal security. The night was uneventful and the next day we walked to the main highway and the store, and then into town. It was a Sunday so not much was open and we didn't get to talk to any of the town officials. A very nice lady came by the boat and introduced herself as the unofficial greeter. We explained our dismay at the dock conditions and the fact that the original dock now required payment. She said that she understood and has heard this from others. She planned to try and convince the town to reverse some of these decisions and do something to clean up the docks, as a flock of seagulls had taken it over. 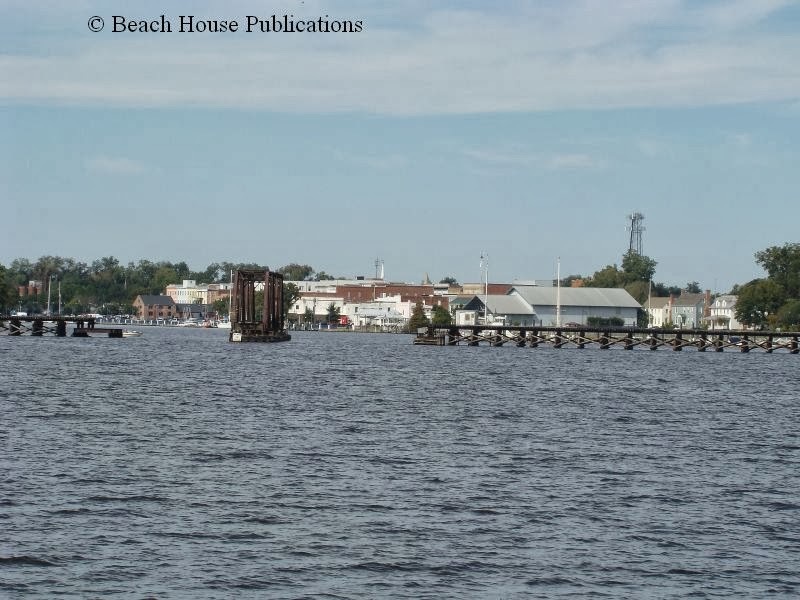 We just felt so bad that all of the good will and good intentions had now turned into a situation where most boaters would not even consider staying at the new dock. This isn't going to be received well in the cruising community. 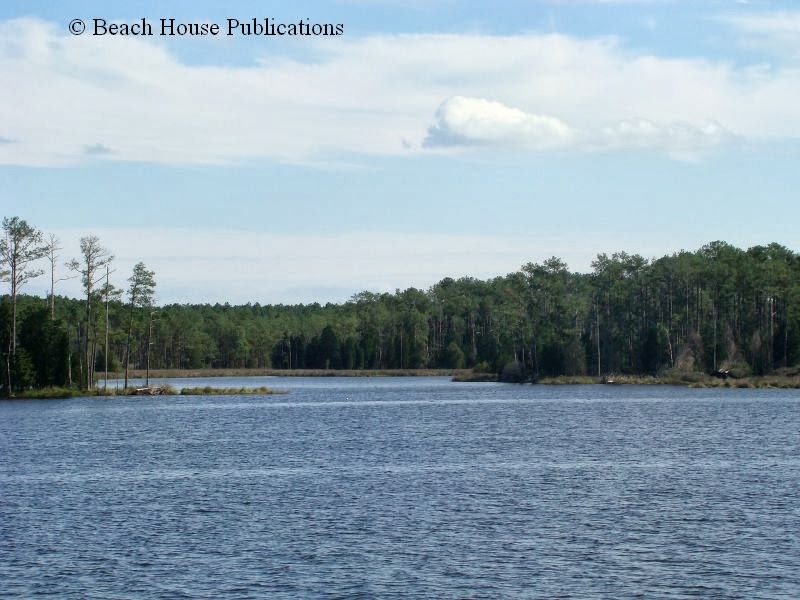 By the afternoon, Beach House was underway and heading down the Pungo River. 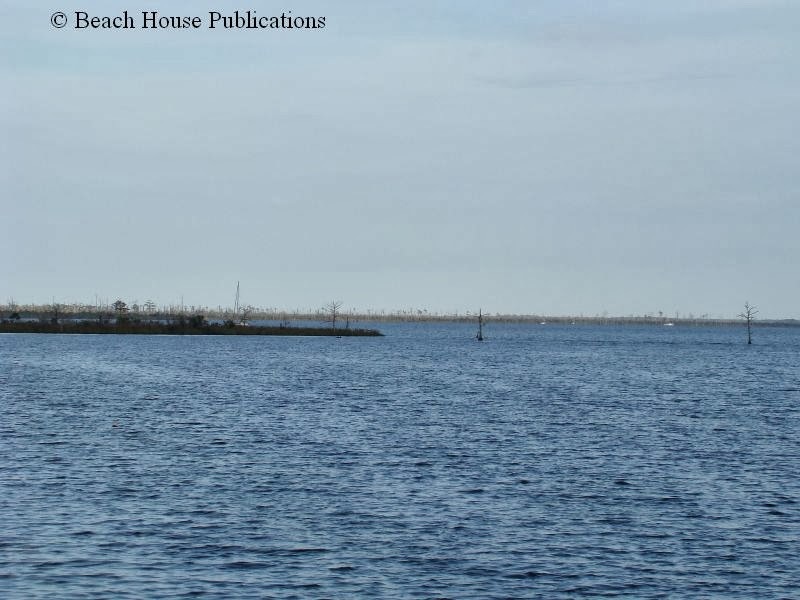 As our next stop was only a few miles away, soon we were in Slade Creek and surprised to see our friends from Tuckahoe Point already at anchor. They hadn't traveled very far either. Slade Creek is a beautiful anchorage with plenty of depth and it's easy to find a spot to get good wind protection. There are no homes or development along the creek and the only activity was a few commercial fisherman traveling up and down the creek a few times. The shores are tree-lined and the fall colors were beginning to change in earnest. There were only the two of us to share this wonderful place, but that was okay. We had a brief conversation on the VHF with our friends then settled in for the night. 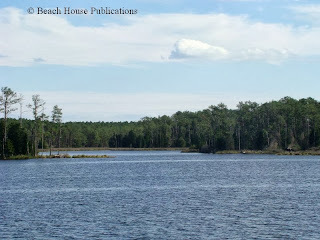 The plan for the next day was to go up the Pamlico River to visit the towns of Washington and Bath. 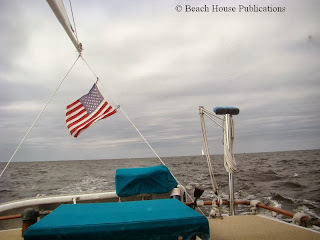 The easterly winds forecast for the next day would be perfect for a run up the Pamlico. 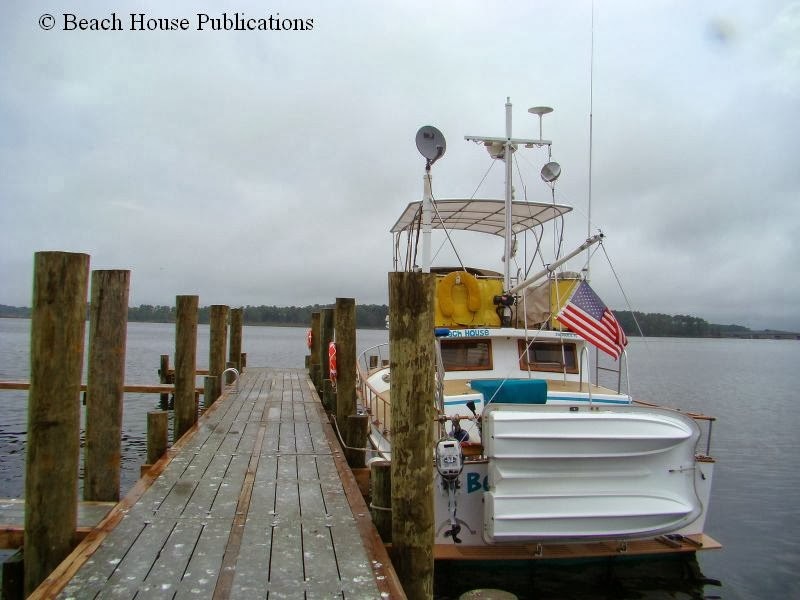 The Pamlico can be unpredictable in certain weather conditions just like the Albemarle. It turned out to be a perfect day as we entered the harbor in Washington and called the Dockmaster for a dock assignment on the town's free docks. And we weren't surprised to once again find our friends already tied to the docks as they had raised anchor before us. Rain, Rain, Will You Ever Give Us A Break?